Adam Driver details his time on the set of Martin Scorsese's epic 'Silence,' revealing the unique intricacies of the iconic filmmaker's methods. Larry King: What’s it like to be directed by him? 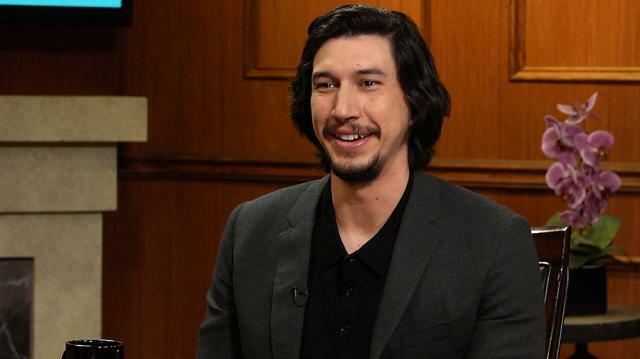 Adam Driver: It’s surreal because I grew up watching his movies and even though I didn’t come from an Italian family or – I mean his movies are all over the map, I guess – but there so personal and I related to them in some way. But in a way it’s kind of affirming, what you hope directors are like. What you hope someone like him will be like, which is, regardless of all of the things that he’s accomplished, he very much embodies the practice of not knowing what the right answer is. You know, giving you freedom. He hired you because he wants you to speak up and take ownership of your role. Larry King: So what do you think? So you can have input? Adam Driver: It’s not a dictatorship. Larry King: Did that surprise you? Adam Driver: Yeah. Because of what he’s accomplished you think that he would be totally justified in saying that this is the way it’s supposed to be especially because it’s been going on for 28 years. But he… yeah, I keep saying the same thing, but it’s the best way I can really describe it. He doesn’t know the right answer and that’s how he – And he also doesn’t seem, even at this point in his career, to take for granted that he’s making a movie. I think he very much knows that the effect that films had on him at such a young life, I mean I haven’t really psychoanalyzed him that much, but that also these Rossii movies and Rosselini were playing in his TV as a kid and at the same time going to the movie theater and seeing John Wayne movies and “The Searchers” – I think he really personalized all those films and knows… can testify to how much it had an effect on him, and is very aware of the awesome power that films can have and doesn’t take it for granted.